Which supplements can help your Hypoglycemia? Supplements can be described products that can be added to our diets in order to increase our daily intake of the product. Vitamins and minerals are probably the best known examples. A vitamin is simply a substance which works inside the cells of the body in order to keep it functioning normally. Minerals are inorganic substances that have been formed in the earth by nature. Why are they important to a hypoglycemic? One reason that taking some type of vitamin or mineral is so important to the hypoglycemic is that the majority of hypoglycemics are likely to have been eating a very unbalanced diet for years. As a hypoglycemic it is possible that you have regularly feasted on many incorrect type of foods for a long time. These foods have probably given rise to your hypoglycemic symptoms as many of the original nutrients in these foods have been removed when these foods were processed. If you have eaten the wrong foods for a prolonged period of time this means that your body is likely to be very low on a number of essential minerals and vitamins. This fact is likely to have caused your hypoglycemia to be worse than if your body was not low on these essential minerals. In order to completely control your hypoglycemic symptoms, it is thus necessary to undergo a deliberate course of vitamins and minerals to correct years of dietary abuse. This means taking the right type of vitamins and minerals at the right time and in the right amount. 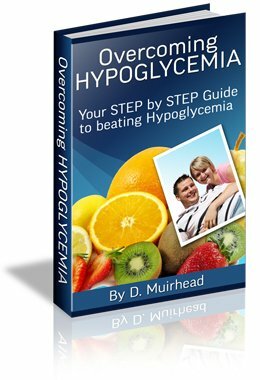 In the Overcoming Hypoglycemia Ebook you will learn which vitamins and minerals can benefit a hypoglycemic and why, when you should take them and in what amounts. So which vitamins and minerals can help your Hypoglycemia? However these vitamins must be taken in the correct doses and at the right times for maximum effect.